Operating & Maintenance: We include service, maintenance and warranties with all of our systems. We service a wide spectrum from small residential homeowners to Fortune 500 clients. When the sun comes up, we are working on power plants for: Con Edison, IKEA, Tucson Electric Power and Frito Lay – to name a few of our prestigious clients. Installing a Power Plant for a utility is not something one takes on without some of the brightest engineers in the world. ConEd and Tucson Electric did their homework and chose Newport Power for their projects. When you want your stores to have green energy on their roofs in multiple locations with multiple agencies – dealing with multiple rebates and incentives, you call Newport Power as IKEA did for 2.4 megawatts. 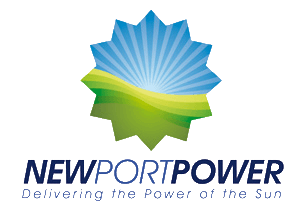 When you want to power a manufacturing plant in one of the hottest, harshest climates in the world with a sensitive environment, you work with Newport Power as Frito Lay did for 5 megawatts.